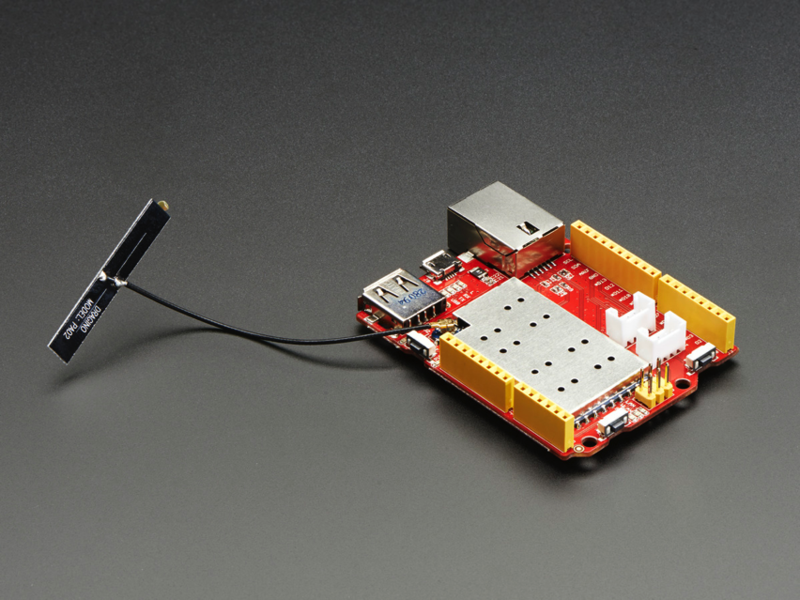 NEW PRODUCT – Seeeduino Cloud – Compatible with Arduino Yun « Adafruit Industries – Makers, hackers, artists, designers and engineers! 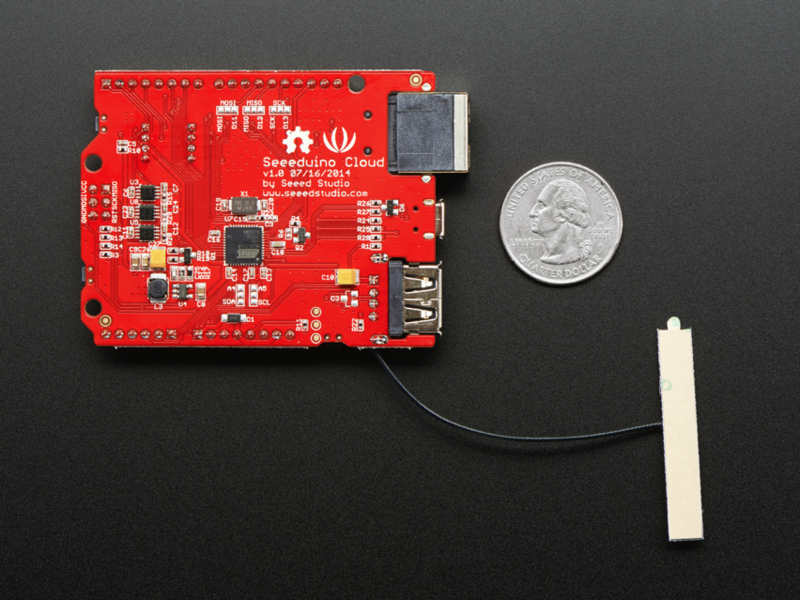 The Cloud from Seeeduino is a microcontroller based around the Dragino WiFi IoT module HE and the classic ATmega32u4. 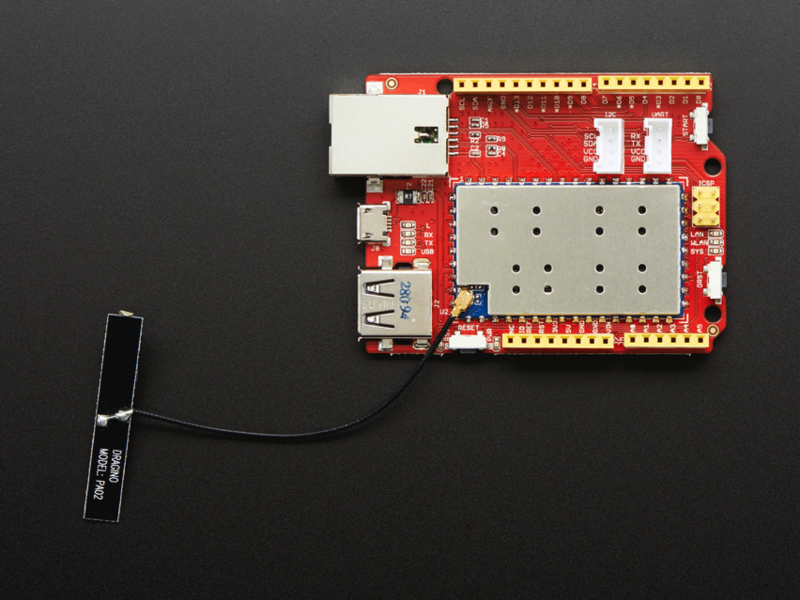 This board is Arduino compatible with built-in ethernet and WiFi support. There’s also a USB-A port that makes it good for designing prototypes that need network connection. You can use this as a compatible board the now-discontinued Arduino Yun. The HE – which means “core” in Chinese – is a minimal system that’s compatible with 802.11 b/g/n. The chip has a rich interface such as Ethernet, USB, UART, and lots of GPIO pins. A Linux machine is embedded directly on the PCB of the Arduino Leonardo. They are connected so that from the Arduino side it’s very easy to run commands on the Linux side and use it as an Ethernet and Wifi interface. Historically, interfacing Arduino with complex web services has been quite a challenge due to the limited memory available. Web services tend to use verbose text based formats like XML that require quite a lot or ram to parse. On the Cloud, you can use the Yun Bridge library which delegates all network connections and processing of HTTP transactions to the Linux machine. The board can be programmed with an USB cable to the Arduino IDE or through the Wifi connection without the need to physically access the board. The new Arduino 1.5.4 IDE has the ability to detect the Cloud connected to the local network.